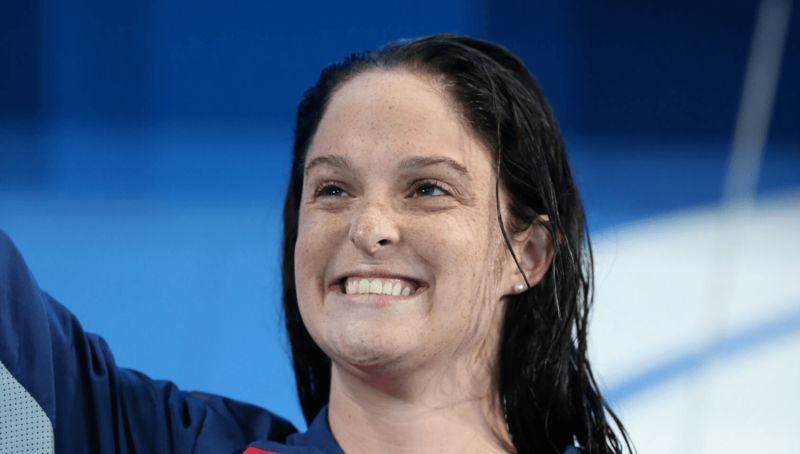 Cammile Adams is an American butterfly specialist and World Championship medalist. Adams competed for the United States at the 2012 Olympic Games in London where she finished 5th in the 200-meter butterfly. She and her twin sister, Ashley, were born Sept. 11,1991 in Houston, Texas and graduated from Cypress Woods High School in Cypress. She later attended Texas A&M University where she became a two-time NCAA Champion and seven-time NCAA All-American. In high school Adams was a member of four U.S. National Teams, and served as a two-time team captain. Adams is pretty versatile swimmer, while being an outstanding butterfly swimmer, she also posted nationally-ranked times in the distance free and IM events. At the 2009 World Championship Trials Adams just missed qualifying for the 2009 World Championship Team, and finished 4th in the 200-meter butterfly with a time of 2:10.25. 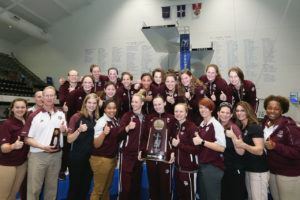 After graduating from Cypress High School Adams decided to be an Aggie at Texas A&M University, where she would go on to win back-to-back NCAA Titles in the 200-yard butterfly. 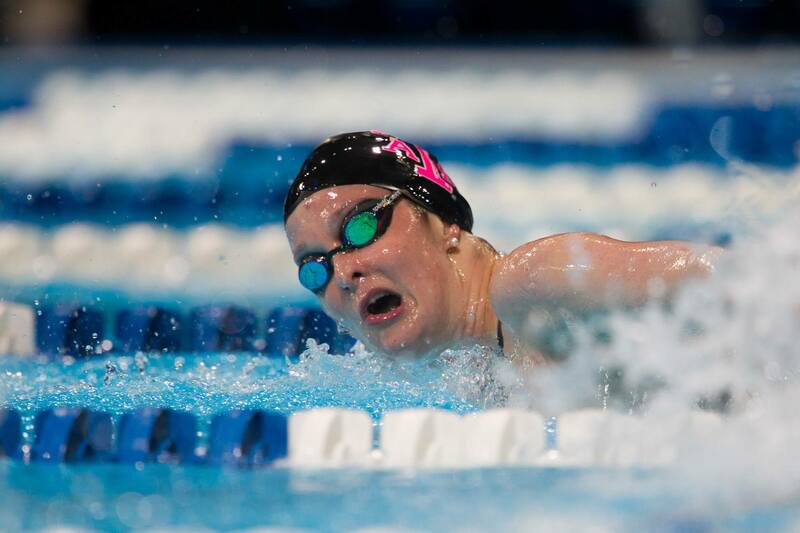 As a freshman and sophomore, she finished 2nd at the NCAA Championships in the 200 butterfly. She also added a 7th place finish in the 400-yard IM as a sophomore at NCAA’s. In her junior and seniors years, she won the 200 butterfly at the NCAA Championships, and finished 4th in the 400 IM as a junior and 5th in the same event as a senior. At the 2012 U.S. Olympic Trials, Adams earned her spot on the U.S. Olympic Team by winning the 200-meter butterfly. She also finished 3rd in the 400-meter IM, just missing a 2nd event in London. At the Olympic Games in London, Adams was a finalist in the 200-meter butterfly where she finished 5th overall. As a member of the 2013 World Championship team, Adams finished 7th in the 200-meter butterfly in Barcelona, posting the fastest time of the year for any American swimmer in that event. 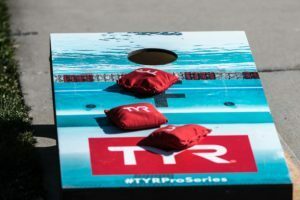 She also competed at the Duel in the Pool against the European All Stars, where she recorded a 2nd place finish in the 200-meter butterfly, a 6th place finish in the 100-meter butterfly, and a 7th place finish in the 400-meter IM. For the third year in a row, Adams won the 200-meter butterfly at the U.S. National Championships. She qualified for the Pan Pacific Championship Team that went to Gold Coast, Australia to compete. 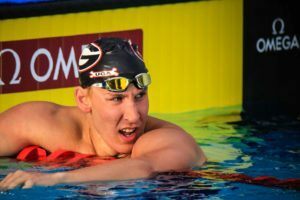 At the Pan Pacific Championships, Adams won a gold medal in the 200-meter butterfly and added an 11th place finish in the 400-meter IM. At that event, she secured her spot on the 2015 World Championship Team. After qualifying for the 2015 World Championships, Adams travelled to Kazan in hopes of medalling for the first time. In the semi-finals of the 200-meter fly Adams didn’t have the best swim, but she did enough to tie for 6th and advance to the finals. With the majority of the final heat being led by USA teammate Katie McLaughlin and Germany’s Franziska Hentke, Adams had to have the back-half of a lifetime to pick up a medal. Although Japan’s Natsumi Hosha ran down McLaughlin and Hentke to win gold, Adams last 50 was just as impressive as she even-split her race to come home strong and take silver. Her silver-medal performance was Adam’s first medal at the World Championships, and was her best time in the 200-meter fly to date. After a brief scare of being disqualified, and then having the disqualification reversed, Adams earned her spot on the US Olympic Team. Her winning time of 2:06.80 beat second place finisher by .7 seconds. After tying for 2nd place out of prelims, Adams swam 2:07.22 in the semifinals, barely making it into the finals as the 8th seed. From Lane 8 in the final, Adams surged to a best time of 2:05.90, but just fell short of a medal as she touched in 4th place.